Turnbull & Asser is an English menswear brand founded in 1885. It offers a wide range of ready-to-wear shirts; besides, you can order bespoke and made-to-order shirts from Turnbull & Asser. The minimum bespoke order is six shirts. More than 1000 fabrics, 20 styles of monogram embroidering, 25 collars and cuffs options are available. 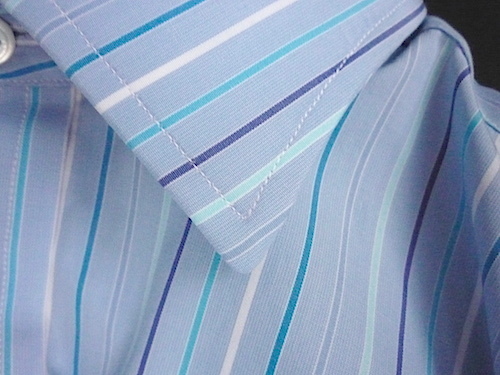 Prices start at approximately 250 GBP (including VAT) – as far as bespoke shirts are concerned. The minimum order for MTO is one shirt, prices start at 200 GBP (including VAT). You can choose shirt length, sleeve length and order monogram embroidering. Ready-to-wear shirts cost 175-345 GBP (including VAT). They’re made of high quality cotton fabrics: 2-ply 100s – 200s (usually woven in Italy by Thomas Mason / Albini Group). The most expensive shirts are made of genuine Sea Island cotton. Weaves: poplin, zephyr, herringbone, oxford. Tech specs: single-needle stitching (6-7 stitches per 1 cm. ), non-fused collars, removable collar stays, gussets, split yoke, no hand-stitching, thin mother-of-pearl buttons (2 mm.) – flawless and shanked. The top button is smaller than other buttons. Sleeves are sewn on as usual. 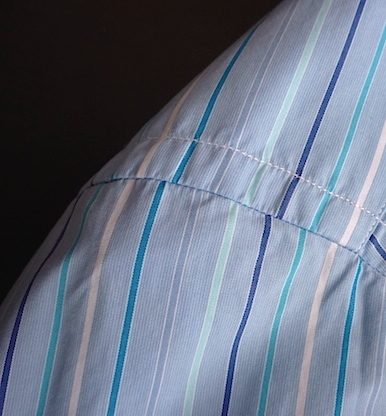 Unfortunately, patterns (checks and stipes) are usually mismatched (even if we are talking about sleeve-shoulder line). 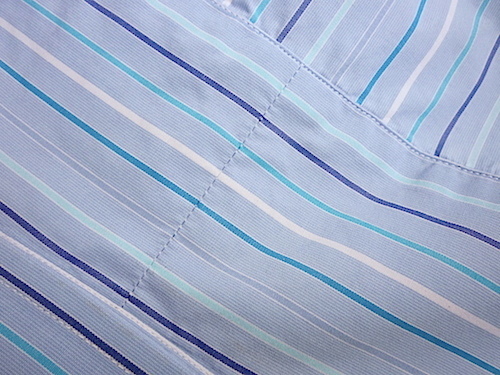 The range of colours and patterns is wide; you can find various types of stripes (sometimes even horizontal ones) and checks (gingham, tattersall, micro-check, etc. ), some of them are bold. Shirt sizes: 14,5 — 19 (Informalist shirts: XS — XXL). Fits: regular and slim. Collars: cutaway, Kent, button-down, spread, semi-spread, detachable. Cuffs: French, 1 Button, 3 Buttons, Cocktail. You can purchase Turnbull & Asser shirts at TurnbullandAsser.com (official website) and MrPorter.com. They will deduct VAT if your parcel is shipped outside the EU. TurnbullandAsser.com has a year-round sale section (discounts about 50%, sometimes – up to 70%). MrPorter.com: discounts up to 70% twice a year. All Turnbull & Asser shirts are made in England from start to finish. This entry was posted in Bespoke, England, Ready-to-wear, Shirts by Dmitry_Vasfilov. Bookmark the permalink.